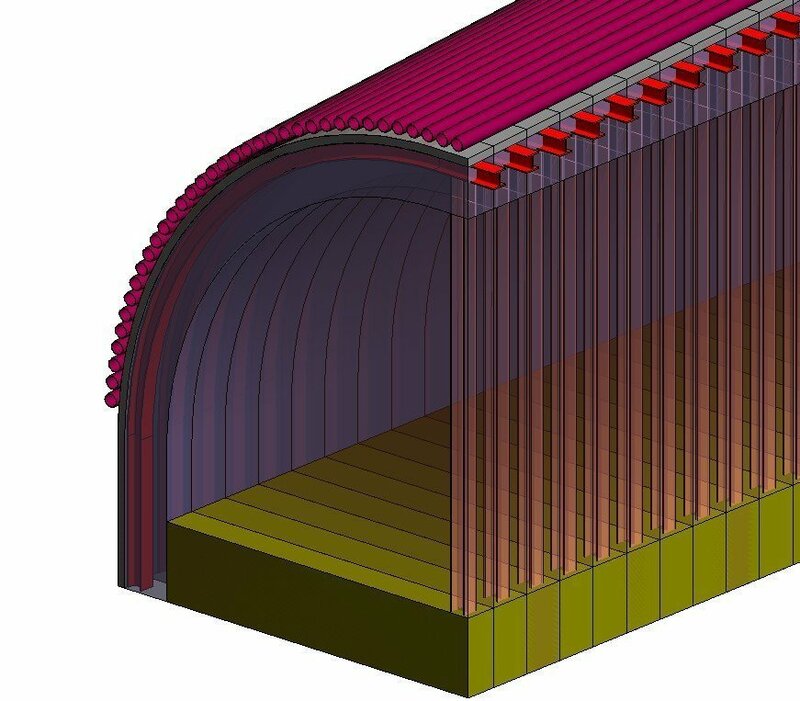 BAC participates in the Joint Venture responsible for the site supervision that applied the BIM methodology (Building Information Modeling) application in the area of Civil Works. 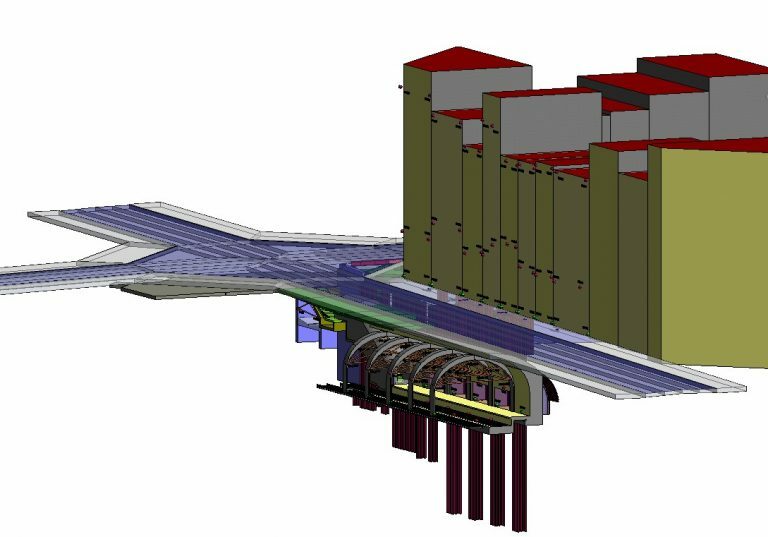 The extension of the platform towards Sarrià of the Provença station of FGC (Railways of Generalitat de Catalunya) has been modeled in Revit. 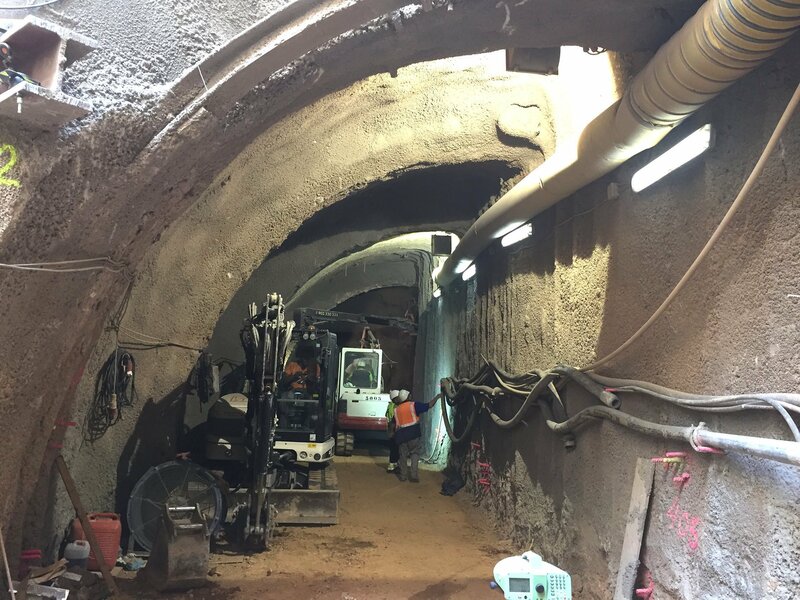 The executed works are characterized by the construction of a gallery (tunnel in mine) under the buildings of Balmes Street and attached to the existing station to extend the platform, a new emergency exit on Rosselló Street and a new entrances vestibule – walk through stairs and lift. The BIM model has been developed in the construction phase, being updated during the evolution of the works with the contributions of the agents involved according to the progress, requirements and improvements detected at work site. File of axes and levels. File of the environment, where the volumetry of existing buildings around the project area has also been included with a low level of detail (LOD 100). 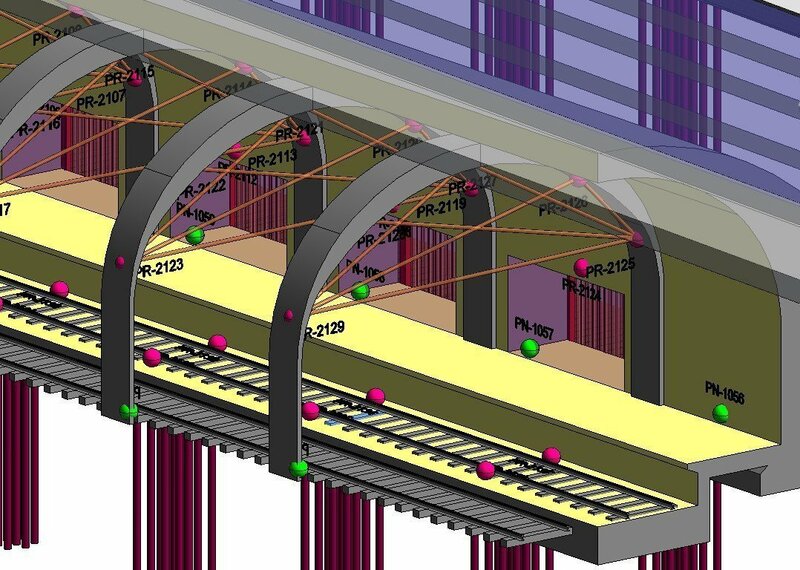 File of the pre-existing station, characterizing the current state and distinguishing by phases the elements that are affected by the new construction, modelled with medium detail (LOD 200). File of the gallery, with a medium-high level of detail (LOD350 / 400), which includes all the information of the construction elements. File of auscultation, where are defined and represented the different instruments and devices installed (prisms in existing buildings, leveling bolts, convergence sections …), and in this model is included a direct access link to auscultation graphs, which are updated continuously. The gallery model has been developed according to the enforcement procedure. 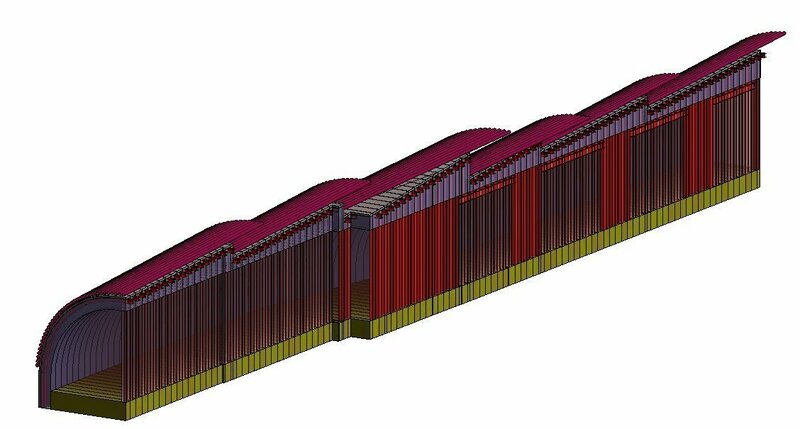 In this way, it has been modeled the excavation of the land in advances of 0.5 m in full section, and the different structural elements: the micropile protection, the metal trusses of each progress, the support of shotcrete, the lower slab, etc. Each progress of the gallery has been assigned a numerical code that allows to relate and access the corresponding inspection and supervision sheet for the execution of the works, where all the necessary information for the process of monitoring is shown. 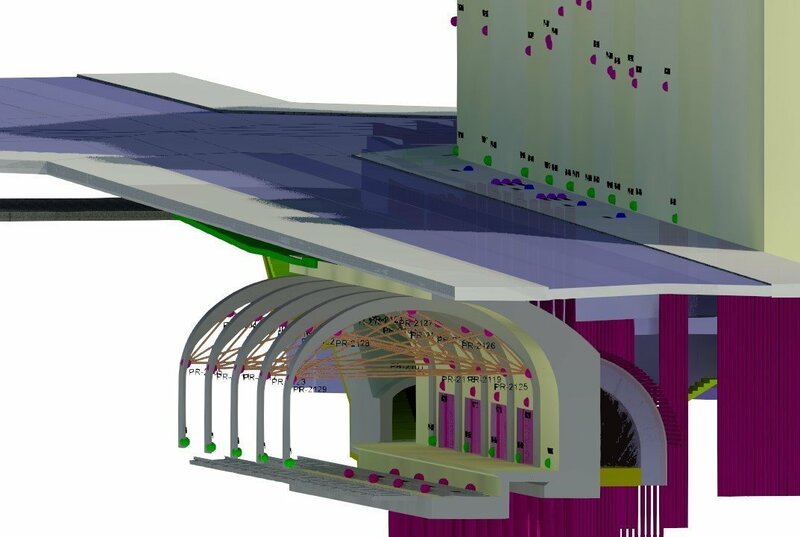 A coordination model has also been generated, using Navisworks as a management model, in order to carry out site planning. Elaborate all these models has reported significant benefits: on the one hand, as expected, it has helped the technicians to understand the complex geometry and to detect singular zones and interferences that have required defining details and diverse solutions, focusing the efforts where it was really necessary. But, on the other hand, it has also facilitated planning and coordinating the different phases of execution works, involving the different agents, and has allowed to associate the documents and monitoring data, of execution and auscultation with the geo-reference. And all this information is in a single model accessible from shared network, which has led the maximum collaboration between the interdisciplinary teams of the different parts.